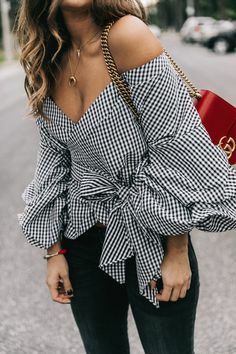 Gingham! Is there a print that shouts Spring and Summer more? And its having a real fashion moment this year. Gingham is everywhere! Now I've never really been a fan, a bit too girly for my liking, but this year, well, I can't get enough of the pretty little squares. I've added a couple of gorgeous gingham pieces to my wardrobe and I'm sure they'll be a couple more before the season is out. I'll be wearing my gingham with light wash denim and trainers, or dressing it up with splash of colour and heels. Topshop, Zara & Warehouse have some lovely pieces at the moment which will see you right through the summer months. A great Spring lightweight jacket. 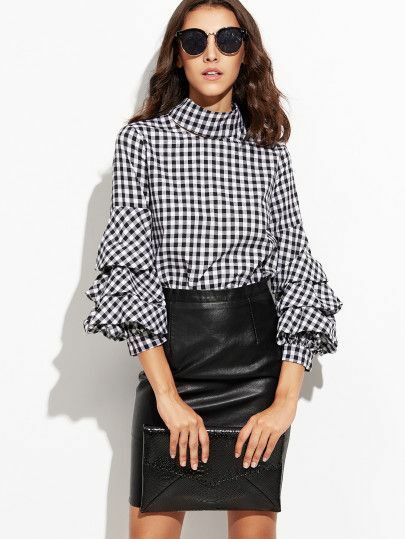 It ticks two boxes with the fab ruffle sleeves. This blouse is gorgeous & will look great with pale wash jeans or denim shorts in the summer. Love this skirt & hopefully will be able to track it down for my holidays. It'll be great with a slogan T-shirt and trainers during the day, or dress it up with bright heels and a lace top in the evening. I have this top & its lovely, definitely made the holiday list. Its sold out online but you might find it in store like I did. This trench coat is an absolute bargain in the Next sale reduced from £90 to £30 with most sizes still available. I love jumpsuits and this one is great. This top is a great alternative to the Topshop one if you are unable to find it in store. Now, I'm not entirely sure this is gingham but I love it, the embroidery & those sleeves! I adore the sleeves. Midi, Maxi, Mini. Lets talk skirts. 40ish, owner of 1 husband, 2 boys and 2 fur babies What I wear, what I love, lifestyle, fashion and everything in-between. Thanks for reading.